Narrated by: Louis Gossett, Jr. Shipped to New Orleans, he endures the life of a slave in Louisiana’s isolated plantation country. For twelve long years, he endures the unimaginable brutality and inhumanity of daily life, while keeping his dignity intact and dreaming of one day returning home to the arms of his family. Twelve Years a Slave is soon to be a major motion picture, starring Brad Pitt, Paul Giamatti, Chiwetel Ejiofor and Michael Fassbender. This was very hard to listen to. I can’t imagine how it must have felt to someone to be born into slavery. But imagine being born free, and then as a married adult with children, being kidnapped and sold into slavery. Some of the things Solomon and the other slaves had to endure at the hands of their master, and that they were forced to do to other slaves, were so horrible that I literally cringed. This was the first time I heard of a slave owner forcing a slave to harm another slave. What Solomon was forced to do to a female slave was shocking. No, it wasn’t sexual. I can’t wrap my head around how someone could treat another human being that way. I teared up many times during this book, especially when Solomon was finally rescued. I’m sure there were parts in the book that told of some of good times the slaves had, but honestly I don’t remember any specific thing. The torture the slaves endured is what I remember. The audiobook I read was narrated by Louis Gossett, Jr. and I thought he did a good job, but his voice was so deep that at times the last word or two of a sentence was hard to understand. This book will stay with me for a very long time. Have you seen the movie? It’s gut wrenching. I bought the ebook right after I saw the movie but haven’t read it yet. It was painful to read. I plan on watching the movie in the next few days. I wanted to watch the movie but just couldn’t. It was too hard. It’s an important story though. How humans can oppress another race to such brutality makes me immensely sad. Unfortunately, stuff like this still happens in some parts of the world. I have the DVD and plan on watching it tomorrow. 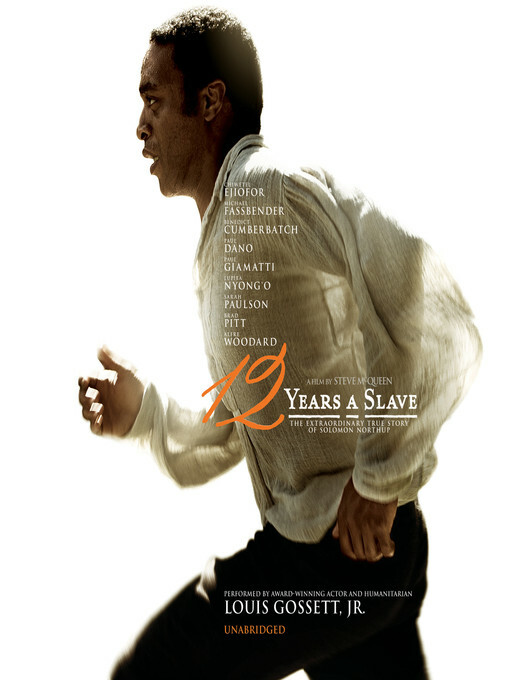 Solomon Northup’s true story sounds horrifying: man’s inhumanity to man. Excellent review of this audio book, Vicki! I’d like to see this movie when it’s out. Thanks Susan. The movie is a available on DVD. I borrowed a copy from the library. I too watched the movie a few years ago and was horrified by what this man endured. I bought Solomon’s book after the movie but I haven’t read it yet. It seems incredible he left this autobiography — so people will know of the awful practice & times of slavery.